A serious crash on Main Street (Route 12) in Oxford sent several people to local hospitals. 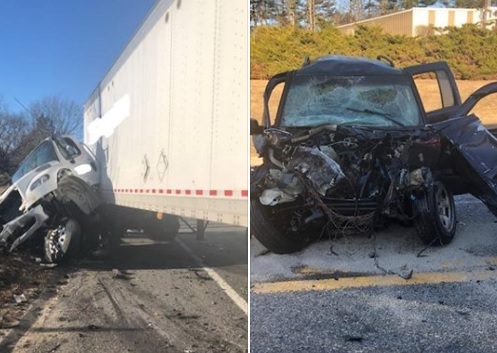 It happened just before 6PM on Monday where a tractor trailer truck and an SUV collided, leaking fuel all over the road. The Department of Environmental Protection was notified of the spill. One person had to be extricated from one of the vehicles. Names of those involved, or their conditions were not released. The road was closed for several hours while debris was cleaned up and police conducted an investigation.